It was 1988 the Snedeker family had been going through some tough times their eldest son was undergoing treatment for Hodgkin's lymphoma, and the family were in dire straits financially. The Snedeker Family came from New York, Carmen Snedeker had been traveling back and fourth to Connecticut with their son so that he could get the best treatment possible. Because of there sons condition they decided relocate to Connecticut. Carmen felt her prayers had been answered when she was shown around a large house close to the Hospital, she discovered that the monthly rent was well within the price range that her family could manage to pay for a decent and comfortable place to call home. Almost straight away the Snedekers eldest son started to complain of seeing shadows and hearing voices. He told his mum that he would often see a man dressed in a black and white pin stripe suit. He asked to stay at the hospital rather than home, he complained of not getting any sleep because of the constant supernatural disturbances. After their son had left the house the paranormal activity began to effect the rest of the family, Carmen was mopping the kitchen floor one morning when she noticed the water suddenly turn blood red and gain a putrid odor. Crucifixes that hung in various locations throughout the house slowly began to vanish some would be turned upside down others found on the floor. Carmen's niece was living with the family at the time. One night, while sleeping, she was physically assaulted by unseen hands that groped and had red scratches on her body. A rosary that she had placed around her neck was violently yanked by the abusive entity and the beads scattered all across the floor. Several demonic entities made their evil presence known during the ensuing weeks. "They were incredibly powerful", Carmen describes two of the demons "One was very thin, with high cheekbones, long black hair and pitch black eyes and another had white hair and eyes, wore a pinstriped tuxedo, and his feet were constantly in motion, this was seen by my son and I"
Carmen's formerly academic son soon began wearing dark clothing and suffered dramatic personality changes. He became increasingly angry and violent and he started writing dark, disturbing poetry. One of the poems that he wrote contained graphic descriptions of sexual activity with dead bodies. The family frequently smelled foul odors in the house, including the scents of rotting flesh and excrement. At one point, a dark mist enveloped Carmen and her niece while they were together in the kitchen, disorienting and paralyzing both of them. Terrified, Carmen began to recite The Lord's Prayer and the demon vanished releasing the women from there paralysis. Carmen was at her wit's end. Her family was clearly in danger, as the haunting grew worse with each passing day. Desperate for relief, she telephoned renowned paranormal experts, Ed and Lorraine Warren, and begged them for help. 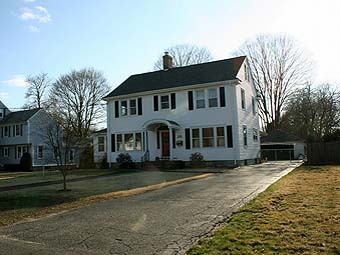 The Warrens, perhaps best known for their involvement in the much-publicized Amityville Horror case, agreed to investigate. Ed, Lorraine and their team of investigators literally moved into the Snedeker's home for an astounding nine weeks in order to witness for themselves all the supernatural events that were allegedly occurring. John Zaffis, nephew of Ed Warren, was part of the investigative team. John recalls that, shortly after arriving, members of the team began to be "touched" by the entities. He also remembers the vile odors that frequently permeated the house. "The situation was pretty chaotic by the time we arrived," John recalls. "One night, I was sitting at the dining room table, reviewing some notes that I'd made. Suddenly, the room grew bitterly cold and I could sense a presence around me. I called out to the others, who were sleeping in the living room, but I couldn't get anyone to wake up. I looked up the stairs and saw an apparition starting to form. The air was filled with a disgusting odor, so foul that I could hardly breathe. As the apparition took shape, I could hear a noise that sounded like thousands of flapping wings coming from behind it. I'd never been more terrified in my life. The form slowly descended the stairs it was the ugliest thing I had ever seen, it came to the last step and it turned towards me and said "Do you know what they did to us, do you know?" I left the building and did not return for three days"
Lorraine Warren says she felt an evil presence in the Southington home and experienced the haunting herself when she spent a night there "In the master bedroom, there was a trap door where the coffins were brought up," she said. "And during the night, you would hear that chain hoist, as if a coffin were being brought up. But when Ed went to check, there was nobody down there." A Catholic priest was enlisted to bless the house and even perform the sacred rites of mass inside the building, but after three days of peace the haunting had returned with a vengeance. Carmen and her husband Al were both attacked by the demonic force with objects thrown at them by unseen forces, mysterious scratches appeared on the children's bodies. Finally, the decision was made to conduct an exorcism on the house. 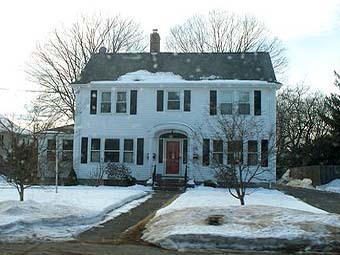 During the exorcism the researchers witnessed dish's rattling the picture frames shaking and mysterious loud banging from within the walls, but following the ritual, "the house definitely felt lighter and the smell of roses came upon us we all felt a sense of calm and relief," John Zaffis remembers. The Snedeker family resided in the haunted house for two-and-a-half years before finally moving. To the best of her knowledge, Carmen states, "no one who has lived there since their family left the premises has experienced any paranormal activity." It has been almost two decades since these events took place. Since that time, Carmen has been "approached" by negative forces, but her unwavering faith and unflinching courage have kept the evil energies at bay. "No one will ever really know why the house was haunted while we were there," Carmen said. "We did discover, however, that one of the men who worked in the funeral home was guilty of necrophilia, so perhaps his heinous actions stirred up the demonic forces." "This was one of the most significant cases I've ever worked on," John Zaffis says, without hesitation. "It proved to me, beyond any doubt, that demonic forces are very real."